A selection of my late father's photos all featuring myself. A class 50 departs Oxenholme in 1971. 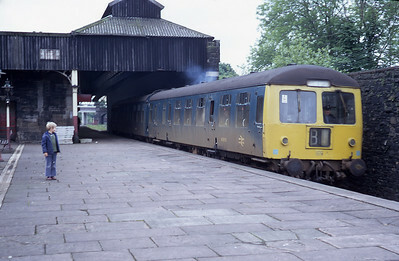 On the left is the Windermere branch which was then still double track. 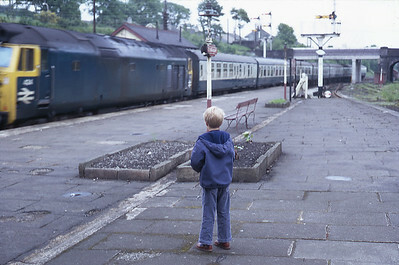 The mainline platforms are much longer these days. 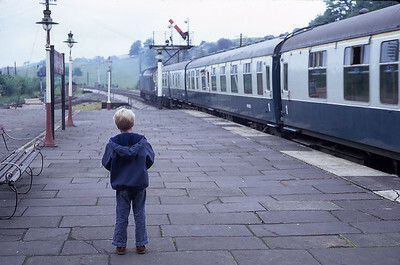 An unidentified class 50 arrives in Oxenholme with a northbound train in 1971. By this time the road bridge had been re-built pending electrification, and the sidings appear to be out of use. A class 105 Cravens DMU lead by M50762 leaves Oxenholme for Windermere in 1971. 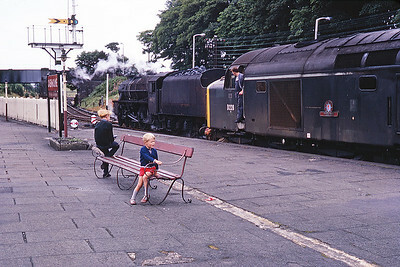 This is me (nearest) admiring D228 "Samaria" at Oxenholme in the summer of 1968. A Black 5 possibly 44735 is behind.